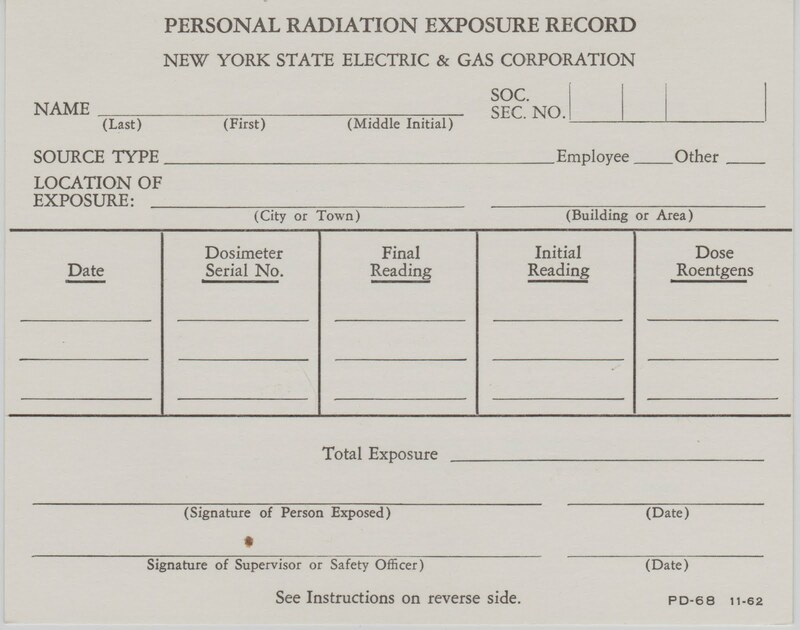 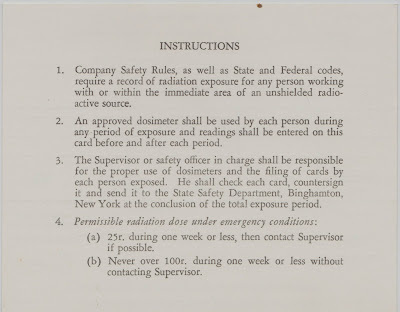 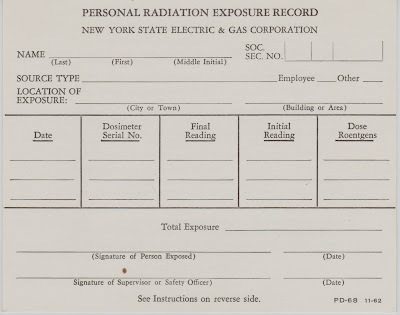 This (thankfully) unused card from the New York State Electric & Gas Corporation in the 1960s was intended for the recording of an individual's exposure to unshielded radiation. 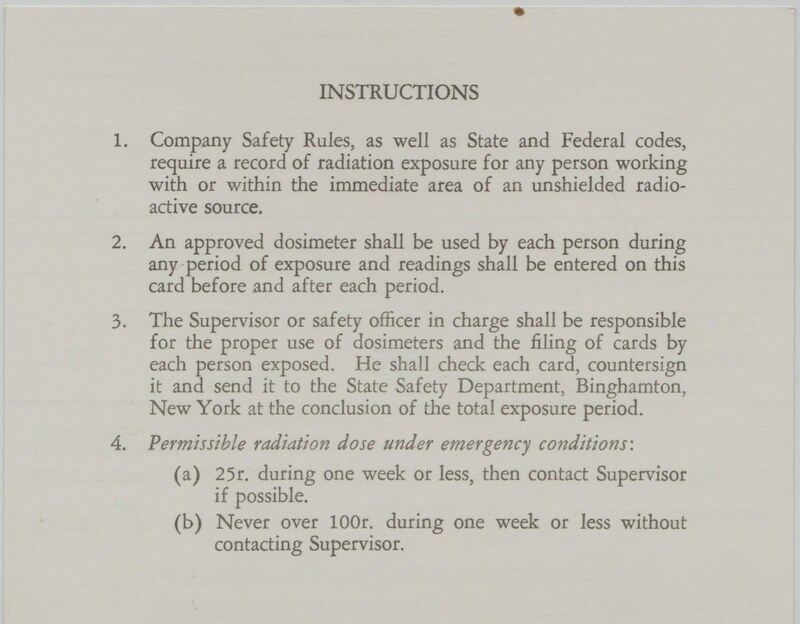 The whole idea of "permissible radiation dose under emergency conditions" is a bit sobering, of course. 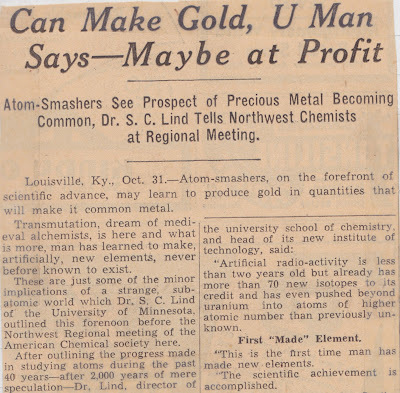 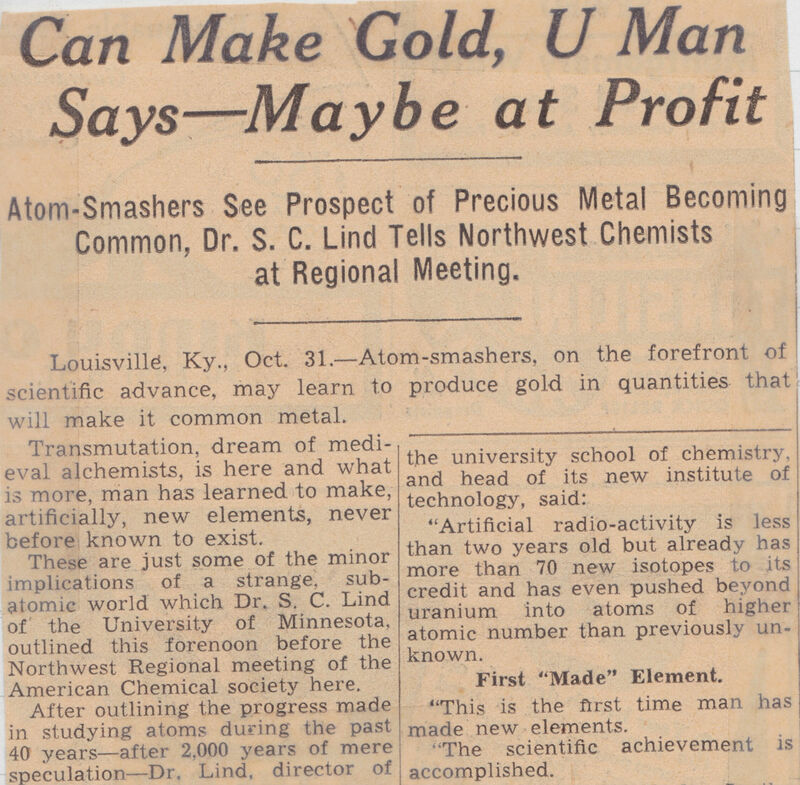 This story tells of atom-smashers, the possibility of "making" gold, alchemy, sub-atomic particles and artificial radioactivity.